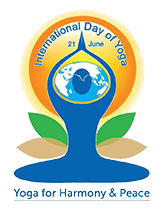 This relates to promotion of International Day of Yoga (IDY), which will be celebrated on 21st June, 2018, among the people. Group Yoga demonstration based on the Common Yoga Protocol (CYP) is the centre-piece of activities related to IDY. The Asanas and practices forming part of the CYP have been codified in such a way as to yield the maximum health and well-being rewards to a diverse group of people from different profiles of health, age etc. To promote the adoption of CYP, the Ministry of AYUSH will be sharing Yoga Prayer and Common Yoga Protocol videos on Social Media Platforms of Ministry of AYUSH from 21st May 2018 onwards. These will be shared in a count-down format, featuring one kriya/ asana per day. Watch various Asanas demo videos, one per day, from Ministry of AYUSH, GOI, on its Social Media. As rainbow colored yoga mats are ready to be unfurled across the globe on the International Day of Yoga, here we will let you have a glimpse of the incredible journey that yoga has undertaken over the centuries. Whether it is any metropolitan city in India or in the U.S., it is common to see people walking around carrying sling bags in beautiful patterns, holding their yoga mats. Read the article “Recounting The Amazing Journey of Yoga on International Yoga Day 2018” at zovon. Yoga is very helpful for our body. Benefits of yoga are countless. It increase our physical & mentally strength. Thanx for sharing various asans demo with us.